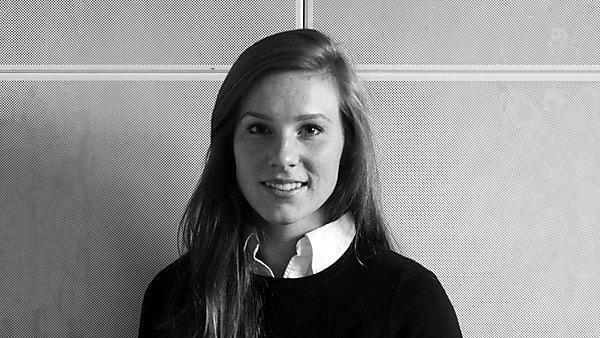 Jessica now works as a junior designer for Lyons+Sleeman+Hoare Architects, less than a year after she graduated from Plymouth University. After graduation I started working regularly with a range of architectural practices. It was great being involved with live design projects and meeting clients to help build my knowledge of the industry. Yes, as it showed me that I could take any path into design. Also, I found that having studied the degree I was adaptable to many different opportunities. This put me in a good position at interviews as it showed employers that I’ve experimented and been out my comfort zone. A bit, as I am now with a company that is currently redesigning all of M&S’ retail stores – such as shopfronts and store layouts – in the UK and abroad. Retail design is a difficult industry to grasp. I have also found that learning client’s needs and translating this into designs when you’re working to short deadlines is difficult. As a rule, design cannot be rushed; but when you’re operating within an office culture and when you’re working with others it can take a while to get everything to run smoothly. Nothing, except refine my portfolio work: it’s like a bible to designers. Whilst applying for a job, if possible ask a professional architect or designer to look through your work and CV. Even if they can’t take you on for some reason, would they if they could? Get as much experience as possible, even if it’s for a couple of days, working weekends or during holidays. It shows that you are committed and are driven to be successful. Finally, research the location; I moved away from home and it was the best thing that I have done as it has made me extremely independent. Plus, my social life has been great. It’s the place where you can get a lot of inspiration; from the city, the countryside, such as Dartmoor, and the studio I worked in, which was a great open plan area where all designers could share and comment on current work. Prior to going to university I would never have got up to do a presentation. However, I gained so much confidence getting up in front of people and sharing my ideas throughout the duration of my course. This was important for me because I knew that I needed this skill for when I got a job. Other than this, being able to experiment with different design processes was also key. No, but in my own time I managed to get experience with a number of different practices, from landscape design to interior design. This helped me to choose what sort of design I preferred and also what I was better at. I did not want to miss out on set projects whilst at university, so I had a good portfolio when I came out. The place: I loved it. There’s so much to explore and to discover. Also, the people were great: I’ve met some of my greatest friends. Yes. I think the place where you study is just as important as the course itself. I chose it because I felt at home during my interview; the people were very friendly and welcoming when I started. Spatial and interior designer is one of three specialist pathways available as part of BA (Hons) 3D Design, alongside design maker and product designer. For more information about our range of courses within the School of Art, Design and Architecture, please visit the school page. If you would like to find out what other alumni from the school are currently doing, please visit the architecture, design, building and construction interest area.